The Communities Assist team are based between Australia and Tanzania, driving constant change at our sustainble permaculture site at Rainbow Ridge, Moshi. This is also a place where our CA Kids can call home. Through persistence, collaboration and cultural preservation our story shows that through community empowerment, global sustainability is an achievable reality. Steve is a founding member of Communities Assist. He and his Melbourne supporters have contributed greatly to CA fundraising efforts. A partner of Clayton Utz Lawyers in the Construction & Major Projects & International Arbitration Groups, Steve is the firm’s national Managing Partner for the Property, Environment & Construction and Banking & Finance Services Departments. This legal and management experience brings to CA a level of advice and direction that ensures a measured and stable approach to the projects we pursue. Steve and his family have been to Tanzania to experience first-hand the wonderful work CA is doing. Mari is a director of Communities Assist and designs all of our building structures in Africa with sustainability and suitability directives. Mari is principal of Beachworth Studios, a niche architectural and design company. Mari and her husband, Rodney (co-owner of Barzura Restaurant, the Livingroom Yoga School, Yoga Travel Company and the Dharma Shala Yoga School in Bondi), also work passionately with our “Kids Feeding Kids” program (hyperlink). Sam is a sheep and cattle producer who comes to the board with extensive experience in agribusiness. He has held a number of senior management positions in marketing and general management in the corporate sector (Wesfarmers and Colonial First State) before acquiring rural properties run in partnership with his wife. A qualified accountant (AASA) with a Bachelor of Business majoring in Accounting and Marketing. Sam’s marketing, finance and business experience provides Communities Assist with a steady rudder to direct the manner in which we share and grow out work with the wider community. 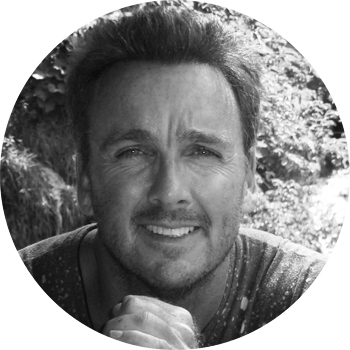 Mike is a founding director of Communities Assist and manages the financial operations of the organisation. Since 1991 Mike has been principal accounting partner for Mike Crowley & Associates. Mike’s accounting and business experience and associations with other charitable and community organisations provides Communities Assist with the financial stability and transparency needed to make the organisations dreams a reality. Mario is an international director of Communities Assist and manages governance, accountability and risk issues within the organisation. In 1986 Mario founded Emjay Insurance Brokers of which he is now co-owner. The boutique business provides specialist insurance products across multiple industry sectors. Mario’s experience in measuring, accounting for and covering risk is invaluable to Communities Assist’s operational requirements. Mary is a director of Communities Assist and manages human resources, staff structure and our volunteer programme. Mary brings a wealth of experience in coaching, developing and mentoring in human resources to Communities Assist.